Sule Erten Ela received her bachelor science degree on Chemistry Education from Dokuz Eylul University. She received her master degree on Chemistry in 2001 from Dokuz Eylul University. 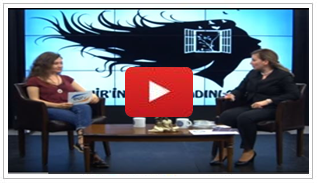 She received her PhD degree in 2004 from Ege University. She received Assistant Professor position in 2005 and Associate Professor Position in 2009 and Full Professor position in 2015 in Ege University-Solar Energy Institute. She studied PhD student and postdoc positions from 2001 to 2015. She visited Johannes Kepler University, Linz Institute of Solar Cells, Austria in 2003, 2004, 2007 for the development of Organic Solar Cells (OPV), Organic Field Effect Transistors (OFET) and Organic Light Emitting Diodes (OLED). In 2006 ve 2007, She worked with Prof. Dr. Michael Graetzel in Lausanne-Switzerland Ecole Polytechnique Federal de Lausanne. She worked on Solid State Dye Sensitized Solar Cells (SSDC) in Bayreuth University, Germany in 2009. In 2010, She worked on Fullerene chemistry and Heterojunction solar cells in Madrid-Spain Complutence University. In 2011, she received prestigious award of Germany “Alexander von Humboldt”. 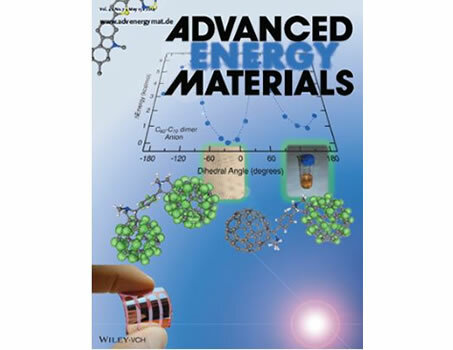 She worked in Friedrich Alexander University Erlangen-Germany with Prof. Dr. Andreas Hirsch for novel electron acceptor fullerene materials synthesis, graphene oxides, Heterojunctions Solar Cells and Dye Sensitized Solar Cells between 2011-2014. She moved to I-MEET Materials for Electronics and Energy Technology Institute in 2015 for advanced studies on organic solar cells and Perovskite Solar Cells. Sule Erten Ela is a specialist on Dye Sensitized Solar Cells (DSSC), Solid State Dye Sensitized Solar Cells (SDSC), Heterojunction Solar Cells (BHJ/ IBHJ), Flexible Solar Cells, Organic Field Effect Transistors (OFET), Organic Light Emitting Diodes (OLED), Li-ion Battery and she has high level studies on organic electronic technologies. She is also a specialist on organic synthesis, fullerene synthesis, graphene, carbon nanotubes, photocatalysis, photodagradation, energy systems. 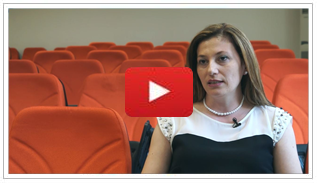 Prof. Dr. Şule Erten-Ela received prestigious award of Alexander von Humboldt in 2011. 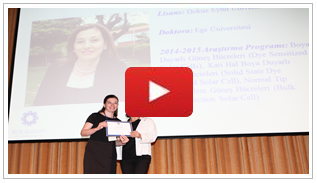 She received Turkish Academy of Sciences-Outstanding Young Scientist Award (TUBA-GEBIP) in 2013. She received UNESCO-LOREAL Young Woman Scientist Award in 2014. In 2015, she received Young Scientist Award from The Science Academy (BAGEP). She has a lot of principles in science such as academic integrity, academic honesty, academic freedom and academic merit. In 2016, the prestigious award of METU Professor. Dr. Sule Erten, who received Mustafa Parlar Research Incentive Science Award, became the owner of 'Energy' of TUBITAK Science Promotion Award of the year 2017.Sule Erten Ela has editorial and referee positions for lots of scientific journals. She has a patent on Organic Field Effect Transistors and also have papers over 60, national and international projects, oral-poster presentations and citations over 1100. 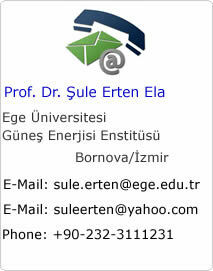 Sule Erten Ela is a member of Solar Energy Institute of Ege University in full Professor position.